Address: 11 Fred St, Lilyfield NSW 2040. Last edited by CraigDavey; 18th February 2013 at 06:02 PM. Roastmax Roasters import their own exclusive super shop coffee roasters and industrial roasters manufactured to our own strict specifications. Roastmax Roasters were first to incorporate 4 motors and drum speed controller as standard on our entire range of roasters, and use high quality components throughout our range. We assist our customers all the way in setting up and commissioning their roaster (and afterburners), and provide unlimited after sales support. 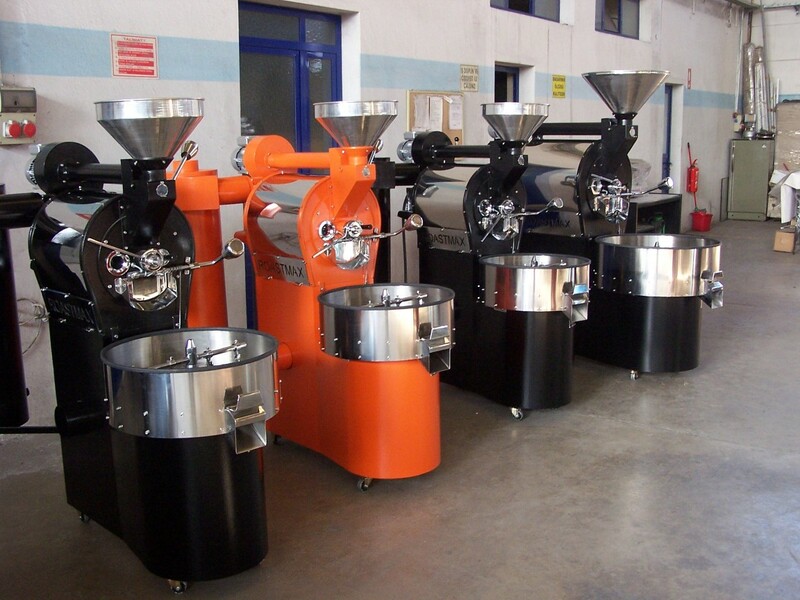 Roastmax Roasters can also customise the roasters to your requirements. Roastmax have experience in installing profile systems that control both gas and airflow automatically through either a PID system using a laptop, or PLC touchscreen. More importantly, we pride ourselves on making roasters that produce evenly roasted coffee that is all one colour with full air and heat control for maximum flavour development. Owner Will Notaras has been selling and servicing coffee roasters since 2007. Roastmax Roasters have many of the same features that of European and American roasters. Roastmax Roasters also distributes the Astoria Plus4You multi-boiler eco-espresso machine that is developed to meet the growing demands of the barista, the roaster and the environment. This machine grants maximum quality in the cup and flexibility to adjust the machine according to the coffee origin/blend. We also sell Mazzer and Ditting grinders, bag sealers, scales, linear weigh & fill machines, destoners & afterburners etc. 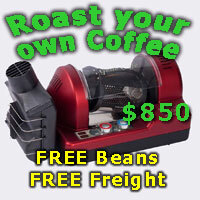 With the favourable Aussie dollar, we can offer you good savings on our next shipment of shop roasters. Some of these roasters have been pre-sold, but still have a few left on container. Feel free to come & visit our warehouse & showroom in Lilyfield, Sydney (by appointment only). We have a demo 10kg roaster we can demonstrate to you & 5kg & 15kg display models. - Italian made Polidoro burners. Roasts to full batch capacity in under 18 minutes. More customers awaiting next delivery. So contact us before you purchase your next roaster. Also, below is Dom Spadacini (former WA barista judge) & barista champ Scott Callaghan at the grand opening of the Holly Brown Coffee Co. in Hong Kong. 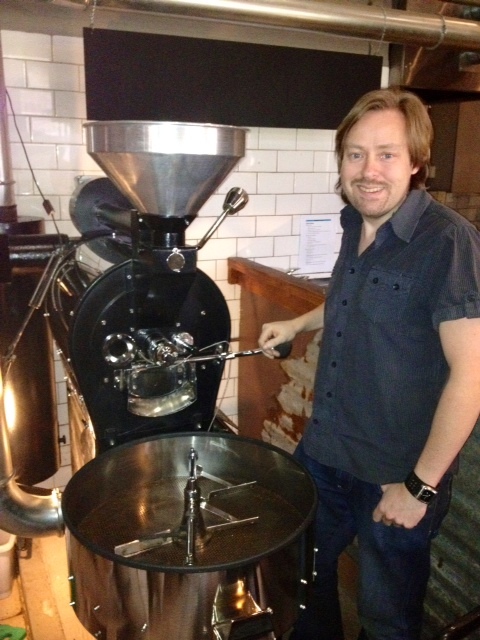 Holly Brown purchased a 5kg roaster, & a 10kg roaster for their second store due to open. The cafe has already become a big hit in HK. This Saturday 18th, I will be conducting roasting demonstrations at DiBartoli between 11am & 1pm on "Bambino" (DiBartolis 5kg roaster). Anyone interested please come along. I am happy to answer any questions you may have. A big congratulations is in order to Keith at Bean Drinking in Crows Nest for earning 3 cups in the 2012 Sydney Morning Herald Good Cafe Guide. Keith purchased a 5kg Roastmax Roaster a couple of years ago & has spent considerable time & effort honing his roasting & blending skills. He has also won other awards for his coffee. He now is mixing it with some of the best established specialty coffee roasters in Sydney, including Reuben Hills, Mecca, Coffee Alchemy, Single Origin, Campos etc. who also were awarded 3 cups. PS. I recommend trying his Ethiopean Operation Cherry Red Guji......its amazing! To Any BBQ roasters out there!